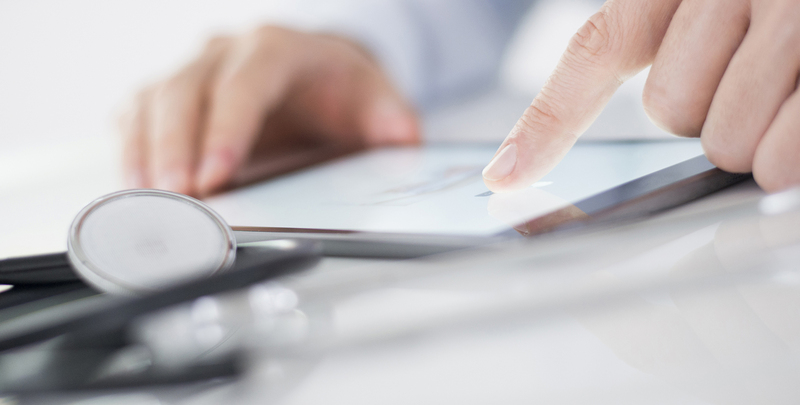 How can a healthcare provider use data in their marketing? If you own your own practice, or work in the healthcare industry, you know that each phone call from a potential patient is extremely valuable. Medical practitioners need to market themselves in order to earn those calls, just like any other industry. However, healthcare privacy laws can add a layer of complication and uncertainty to your marketing strategy. Successful marketers in the healthcare industry need to engage a comprehensive attribution strategy, while also protecting the privacy of patients. Jason Smith is our go-to expert in healthcare marketing; he has been helping medical providers navigate the complex world of compliance for years now. We researched the most common questions that we receive from healthcare marketers here at CallTrackingMetrics, and sat down with Jason to learn the answers. Most patients find new doctors by searching for treatments online. Can a marketer or healthcare provider use that search data? Absolutely! With Smart Routing, you can define specific criteria about a visitor’s web session, and shape how incoming calls are distributed to your team based on that criteria. For example, your practice’s website may advertise different treatments, but the person best qualified to answer questions on a new treatment might be someone other than the main receptionist. Imagine if you could automatically route all calls from users who landed on that new treatment’s landing page to the right specialist, bypassing the main receptionist. You’d be more likely to convert that caller to a patient by immediately connecting them to someone who can answer their questions from an educated standpoint. With new privacy laws in place, can a healthcare provider safely take advantage of marketing tools like transcriptions and keyword spotting? I can’t speak to other call tracking providers, but I can assure you that CallTrackingMetrics is completely third-party HIPAA certified. This means we can safely offer secure transcriptions, keyword spotting, and call recording capabilities to providers of medical services. We’ve also recently rolled out a new privacy tool called “redaction“. This allows our users to either manually or automatically redact any personally identifiable information after a specified interval. I’ve noticed this really helps healthcare marketers feel more secure about collecting and analyzing transcriptions of patient calls. How easy is it to comply with HIPAA/HITECH while gathering patient data for marketing purposes? I can tell you that our platform makes it very easy. We offer a detailed HIPAA compliance checklist, a Business Associate Agreement, and a dedicated Onboarding specialist to assist with the initial steps of setup. We honestly provide options above and beyond what is required by HIPAA/HITECH, because we know how important it is to ensure that your patient’s health information is secure. Features like the automatic redaction of personally identifiable information, and custom access permissions, can make it so that adding call tracking actually enhances the security of your patient information. You’ve also worked closely with lead sellers in the healthcare space. Which tools do you find are most beneficial for getting the right leads into the right hands? Rate limiting: Once “lead buyer A” has received a certain number of calls, automatically cease sending further lead calls. Lead rating: Route every lead buyer to a post-call survey, so that they can affix a score to the lead you just sent. Pre-qualification: Use automated voice menus (IVR) to pre-qualify callers, so that you can send only the calls that meet certain criteria to your lead buyers. Lead sellers also love our customizable score cards that allow their lead buyers to review leads, score calls, and request refunds for unqualified calls.